I am accepting orders for adhesive vinyl overlays for the WP 34S layout to apply to an HP 20b or HP 30b. The price is $6 for one or $5 each for two or more, including shipping anywhere in the world. At present it is printed on waterproof matte white self-adhesive vinyl, with a protective spray with a satin finish. The adhesive is very strong, so be extremely careful when affixing it to make sure you have the alignment right. I highly recommend you use a needle-nose tweezers for applying the key labels to ensure precise alignment. If you would like the alternate white shift keys and the / division symbol instead of what is pictured below, please make a note when sending payment and I will give you that. Please select the desired quantity and then click "Pay with PayPal" to pay for it. Please allow 2-3 days before it will be shipped. 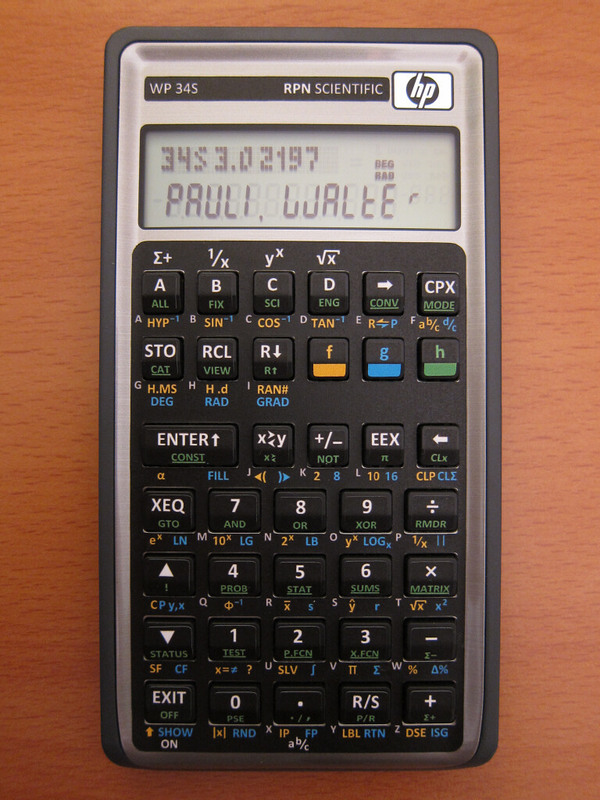 I have more information about the WP34S, including the ability purchase a full-configured calculator, here. 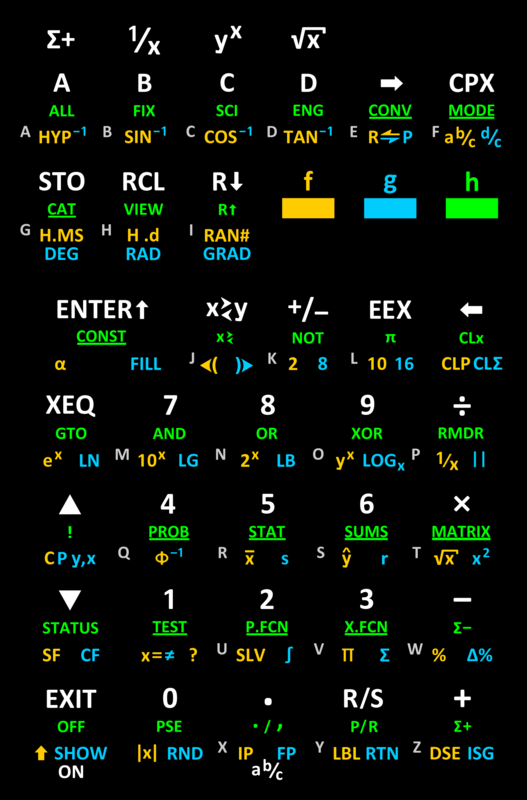 If you would like to make your own, I have written directions on how to flash the calculator. You can also download a PNG of the overlay image.